Fishing with Come Fish Panama this week were Christian, Max, Patrick and Louis from Port-Au-Price, Haiti. 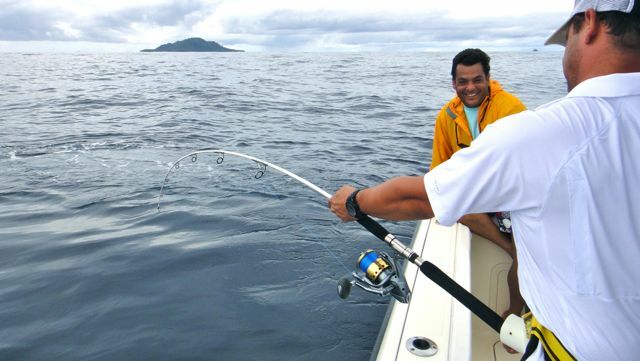 These well-seasoned anglers have fished in numerous places around the world, but Panama was a first for them and we were grateful for the opportunity. Throughout the week, we encountered rain on and off, 2-5 foot seas, blue water and often, poor visibility. 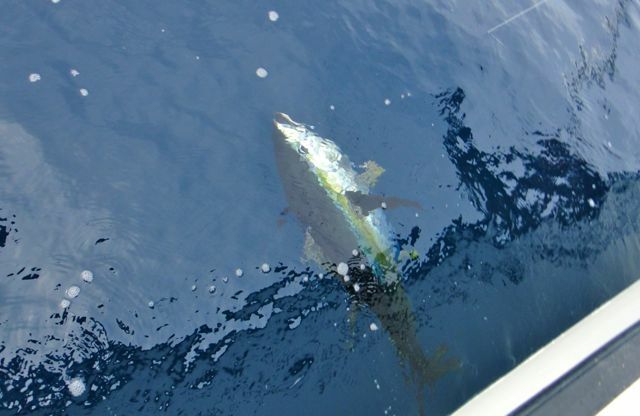 Never-the-less it was game time and offshore we headed to tackle Yellowfin Tuna which is why this group was here. 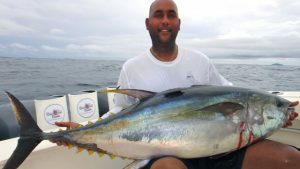 These four anglers got down to business quickly, catching and releasing countless Tuna from 30 to 150 pounds. The action was so furious that these young and strong men actually got tired of landing fish after fish! Two memorable actions stand out. 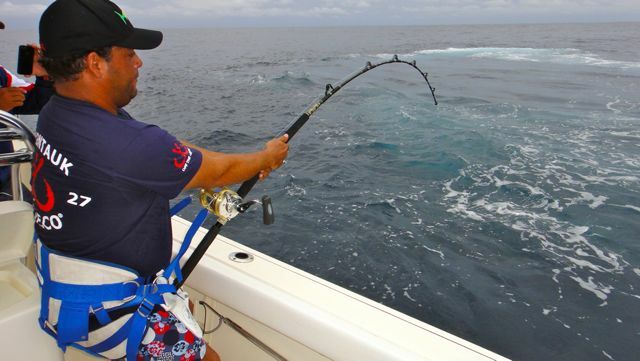 The first is that of Max battling a 150 pound Yellowfin Tuna on a Shimano Saragosa 14000 spinning reel with a matching Shimano Terez Rod. This fish dished it as the tug-of-war continued for some time, but in the end, it was Max that won the battle. 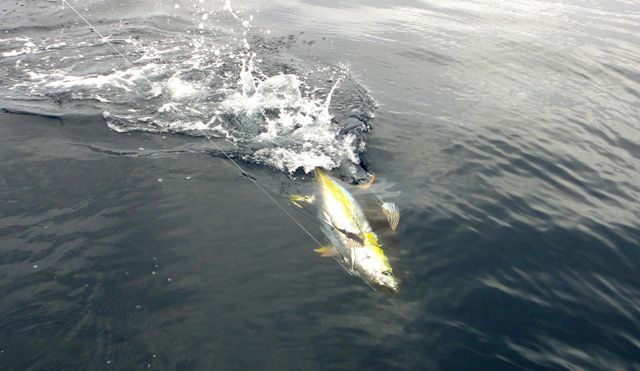 It appears that Max has a good understanding of what it takes to land a big Tuna on spinning gear. If you want the challenge of a lifetime, keep those other big guns back at the dock. 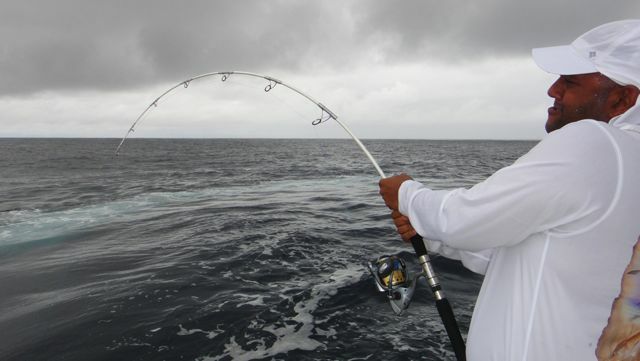 The other memorable moment was Christian’s monster Cow Tuna which he landed on a Shimano 30W. He really put the heat on this huge fish and showed how good technique can dominate the stand-up fight. Christian’s big fish measured at 278 pounds! Congratulations on a wonderful job. I believe these photos speak for themselves. We would like to thank Max, Christian, Patrick and Louis for choosing Come Fish Panama for their offshore sports fishing adventure. 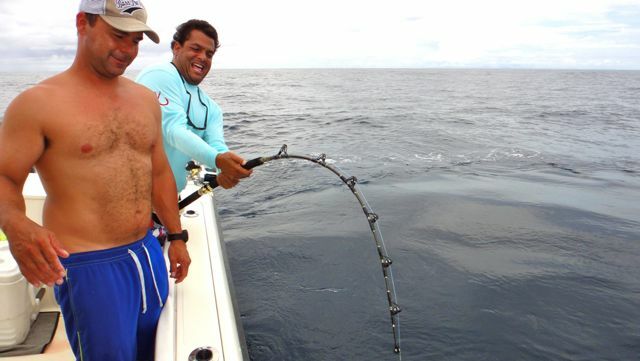 We hope to see them back in the future for a try at the elusive Marlin! Enjoy some of the photos.